The 10 Best Pumpkin Patches in Wisconsin! Fall is arguably Wisconsin's most beautiful season. 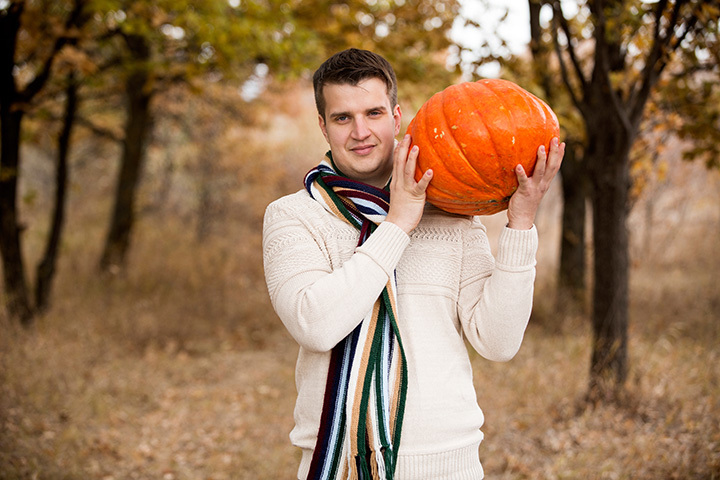 One of fall's most favored activities is pumpkin picking. From decorating, to holiday pumpkin carving here are Wisconsin's 10 best pumpkin patches -from the farms you know and love to hidden treasures. Located in Malone, the Little Farmer is the perfect place to pick your holiday pumpkins out. Not only do they have pumpkin picking but they have a cool gift shop, a tasty caramel apple house, a petting zoo, and apple picking. Choose from three pumpkin sizes and pay accordingly. Schuster's Play Time Farm is located in Deerfield, 15 minutes east of Madison. They grow all sorts of fall décor like pumpkins and gourds. Spend the entire day here by going in their corn maze or haunted forest. Apple Holler is well known in Wisconsin for its apple picking and great restaurant. What many people may not know is that they have pumpkin picking everyday as well. Pick your own pumpkin while enjoying the many different activities and foods in Sturtevant. Located in Bonduel, Porter's Patch is northeastern Wisconsin's' go-to pumpkin patch. They are a family-owned pumpkin, strawberry, and raspberry farm since 1913. They have great prices on holiday pumpkins and fun activities for the entire family to do together. Altenburg's Farm is Wisconsin Rapids' pumpkin plaza. They host field trips and have a wide variety of merchandise and fresh food available for purchase at their market. Pick your pumpkin straight from the patch or from the market. This is the perfect place to go to get in the spirit of fall. Swan's Pumpkin farm located in Racine County is fun for all ages. They have thousands of pumpkins spread out on in the yard for easy harvest time fun. Look for the bright orange pumpkin sign with a swan on it! Located in Waukesha, the Cozy Nook Farm is a great place to bring your camera and your family. They have an impressive market of pumpkins, squash, gourdes and Indian corn for sale. Pick pumpkins of all shapes and sizes for you and yours today! Polly's Farm Market and Pumpkin Patch is located in Chilton about 40 minutes north of Fon du Lac. While they have a wide pumpkin selection, they offer fall crafts, honey, cheese, and their locally grown produce. Breathe easily knowing they have clean facilities and a fun environment for the kids. Open from Sept. 1 to Oct. 31, Harvest Hills hosts numerous fall activities. They are most famously known for their pumpkin artillery where they shoot pumpkins out of a cannon. No matter how many times you've seen or not seen it-it's sure to be an entertaining experience. Pick your own pumpkins right from the vine or choose from their great selection of pre-picked pumpkins in their market. Admission is $8.50 but the fun is endless. Pumpkin checkers, hayrides, and caramel apples are sure to keep the family busy when visiting Vesperman Farms.